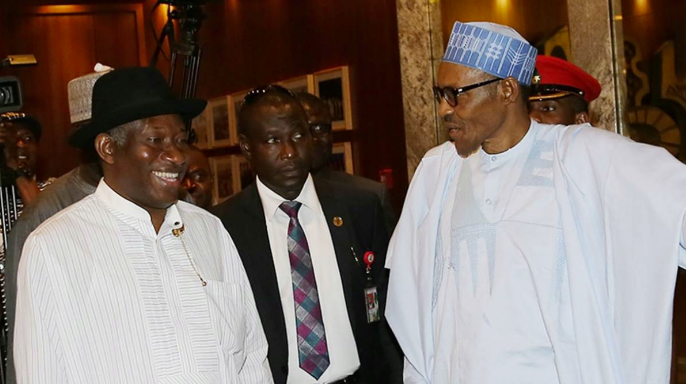 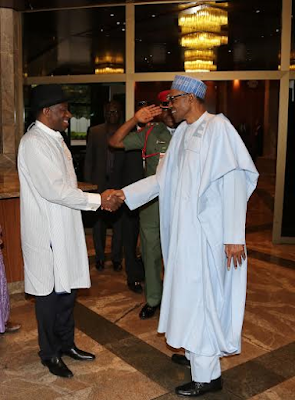 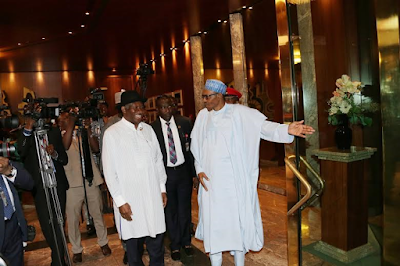 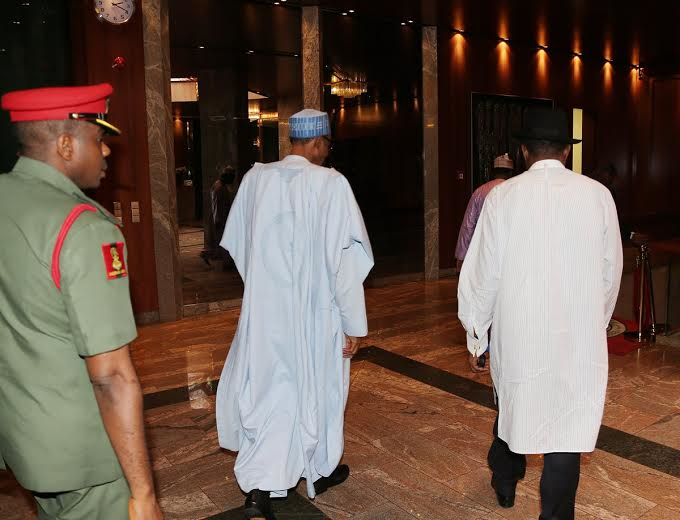 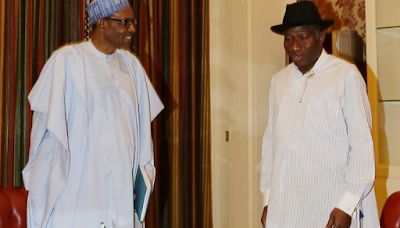 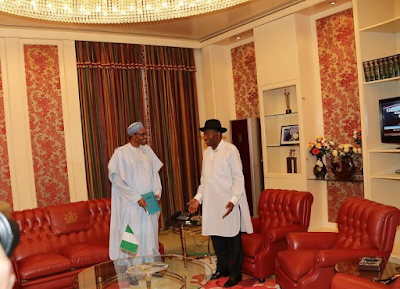 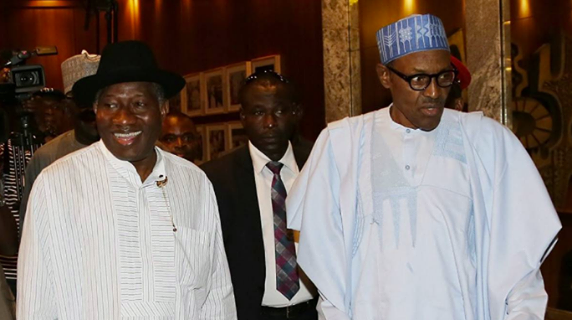 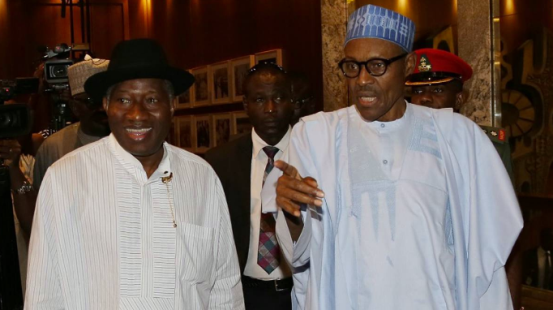 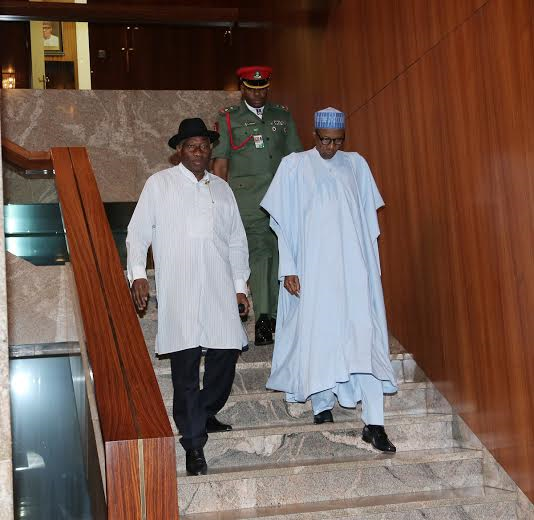 President Buhari this afternoon received former President Goodluck Jonathan at the state house Abuja. 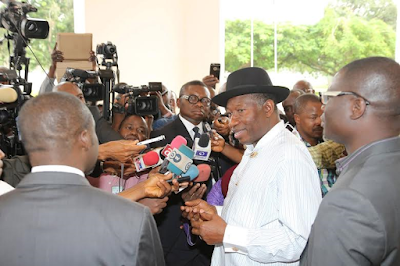 Speaking with state house correspondents after their closed door meeting which lasted for 20 minutes, Jonathan said he was in Aso Rock to brief President Buhari of his recent international engagements. More photos after the cut.